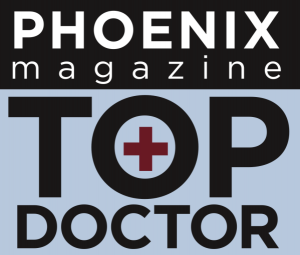 Dr. Dharia was a hospitalist at several Phoenix Valley hospitals between 2003-2007 and completed a fellowship in Hematology/Oncology at St. Elizabeth’s Medical Center (affiliated with Tufts University School of Medicine) in Boston, Massachusetts from 2007-2010. He came back to Arizona in 2010 and is board-certified in medical oncology. Dr. Dharia’s areas of interest include GI malignancies, melanoma, breast and lung cancers. Dr. Dharia accepts patients at our Gilbert and Mesa (Dobson) locations.